You are at the grocery store staring at 100 boxes of breakfast cereal. How do you decide which one is healthier? If you have the time and interest, you might pick up several boxes and read the Nutrition Facts panel. But which nutrients are more important to pay attention to – the ones that can be harmful, the ones that are beneficial, or both? Wouldn’t it be convenient if there was a way to score foods so that both harmful and beneficial components are taken into account with one number? MyNetDiary has such a scoring system - it is called “Food Score.” And to make the scores easier to understand, the Food Scores can be converted to Food Grades. How is the Food Score Calculated? 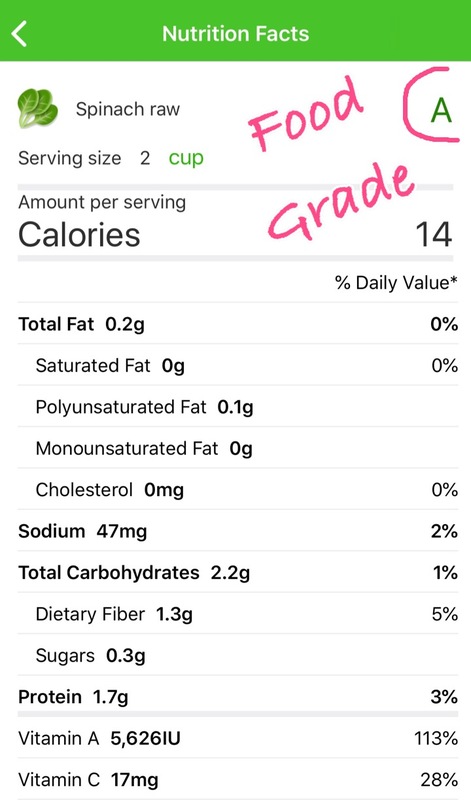 Food Score is calculated using an equation derived from food ratings of nutrition experts using information found on the Nutrition Facts panel. That is, Food Score mimics how a nutrition expert would score the healthfulness of a food based upon its nutrition label. The equation uses the content of twelve required nutrients listed on the Nutrition Facts panel: total fat, saturated fat, cholesterol, sodium, total carb, fiber, sugar, protein, Vitamins A and C, calcium, and iron. 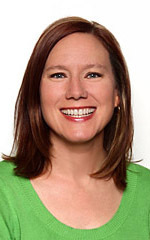 The methodology was published in the June 2009 issue of the Journal of the American Dietetic Association, in the article “Modeling Expert Opinions on Food Healthfulness: A Nutrition Metric” by Jolie M. Martin, MBA, PhD; John Beshears, AM; Katherine L. Milkman; Max H. Bazerman, PhD; Lisa A. Sutherland, PhD, and used by MyNetDiary with permission. Some nutrients have a stronger effect on Food Score than others. For instance, fiber will affect Food Score more strongly and positively than any other nutrient. That means foods higher in fiber will score higher than foods that are lower in fiber. Protein, vitamins A and C, calcium, and iron will also have a positive effect on the score. The reverse is true for saturated fat – foods higher in that type of fat will have a lower Food Score. Total fat, cholesterol, sodium, total carbohydrate, and sugars will also have a negative effect on the score. If you are interested in exact formula, please see it in Appendix A below. If you log a larger or smaller serving size, then your score will be higher or lower, depending upon the nutrient content. For example, 1 cup of olive oil has a Food Score of −24 whereas 1 tablespoon is -1 and 1 teaspoon is 0. How Should I Use this Score? Low-carb/high-fat diets. Keep in mind that the scoring system was developed in 2009 and the original research team has not updated the scoring system since that time. For instance, the Dietary Guidelines for Americans no longer has a recommended cholesterol cap yet this scoring system still penalizes for cholesterol content. Also, fats and oils are not well represented by the Food Score. Food Scores will not be as useful or accurate for foods with missing nutrient data. The scoring uses 12 nutrients required on U.S. food labels. However, restaurant foods, food packages from other countries, and the new food label do not necessarily contain data for all 12 of those nutrients. Food Score was developed using nutrients found only on the Nutrition Facts panel, so foods high in other important nutrients (e.g. omega-3 fats, zinc, potassium, etc.) may or may not have a high Food Score. Use common sense if you feel that a nutritious food should be included in your diet even though the Food Score is not as high as another food you deem less nutritious. Food Score does not include calories. Look at calories for weight control and use the Food Score to help you pick more nutritious choices so that you can better meet nutrient goals. You will still track both calories and nutrients. You can choose to view the Food Grade (instead of Food Score) via Settings or Plan section. If you want to hide Food Score (or Food Grade) from view on your food log or reports, then you can do that via Plan - Nutrient Targets section. MyNetDiary needs to use an automated scoring system to handle the extremely large food item database. There are a number of other food scoring systems available but MyNetDiary cannot be limited by a manual system with a small database of foods. MyNetDiary is considering how to develop and test their own food scoring system so that it stays current with nutrition science, as well as stays abreast of the new food label (due in 2020).